Inn From The Cold is a non-profit organization that provides shelter, sanctuary & healing to Calgary’s most vulnerable families. For 21 years Inn From The Cold has been on a quest to build a community where no child or family is homeless. 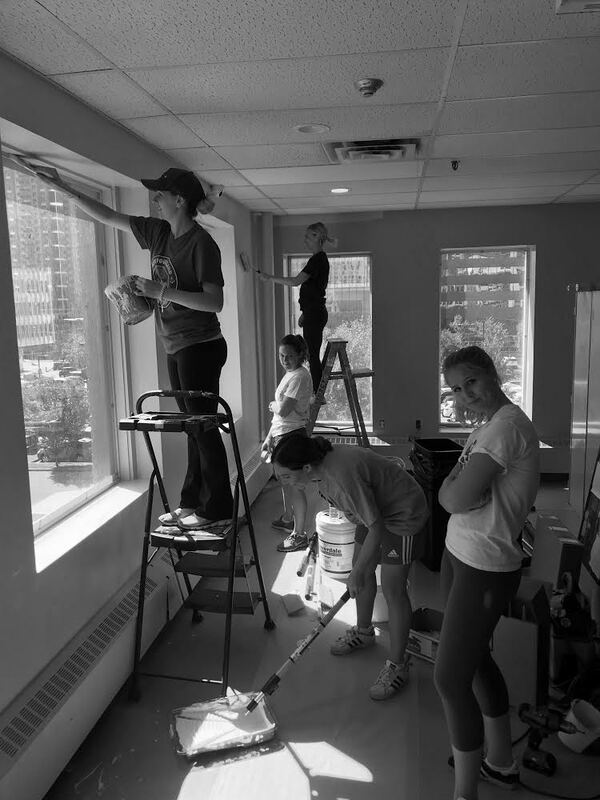 The Big Refresh is a program that will spruce up the exterior and interior of the Family Emergency Shelter building. The century old building located in downtown Calgary will now showcase calming colours, brightened lighting and new beds. With over 500 volunteers we are proud to have been a part of such a great project and can’t wait to see the final results.